...how would your life look like than? 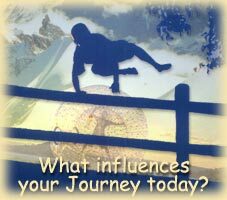 Journey therapy has helped hundreds of thousands of adults and children over the whole world to deal with the challenges above – and more – and therefore improved the quality of their lives. Are you looking for an accredited Journey Practitioner then you have come to the right place to make an appointment. But also when you are relatively unknown to The Journey I hope that all the information on this website will be of service to you. Feel welcome and take your time to look around. Please don’t hesitate to ask questions when you can’t find the information here.